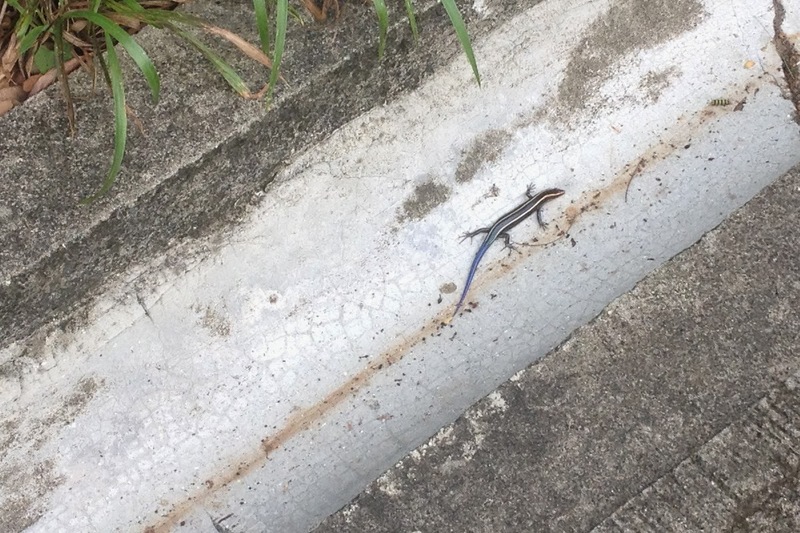 Here's another lizard I saw during a another morning walk. This one was less composed than the one I saw yesterday. It was in a gutter when spotted by me. Noticing me, it made a desperate attempt to seek shelter. The best bet would have been to scurry into the foliage on the side, but the steep walls of the gutter made it a daunting, and risky, task, so the poor thing just made one frantic dash forward after another, but still it could not get rid of me. After following it with a sense of wicked fun for some distance, I decided to spare it of the fright and misery and walked away.